Versatile modular hunting pack system with multiple pack combinations. This pack has a frame that can heal game with a tubular frame. 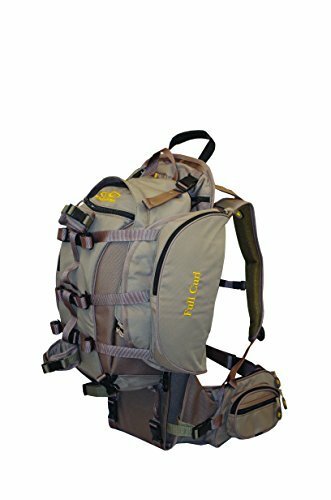 This backpack has a day pack to carry all your hunting knifes and gear and can be separated and removed from the frame. Or the day pack has straps tucked away so the pack can be used by itself. If you get something down you have a frame pack to haul it out. Compression straps are long and can roll up and stowed easily out of the way. The Wings on both sides can carry a tripod and scope. Hydration compatible and other pockets on Wings and belt to make your gear organized. 2000 cubic inches of storage.